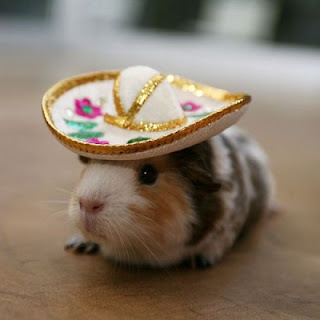 Nothing says happy like a guinea in a sombrero! That is seriously the cutest thing I have seen all day! I hope Monday is going great for all of you! He/she is a cute lil' thing! Happy Monday and have a good week! I hope you have a wonderful week as well Intense! Aww how cute and absolutely weird!